Q: Are your phones really answered 24 hours a day? If I have a fire, smoke or water damage emergency at three in the morning, is someone really going to call me back?A: Of course! And we will call you back within 15 minutes! This is the nature of our business. Any time, working normal operating or after hours your phone calls are answered directly by Emergency Response Restoration staff. Q: I have seen that you are “IICRC – trained” professionals and that you have the IICRC Certified Firm logo on your website. What exactly is the IICRC? 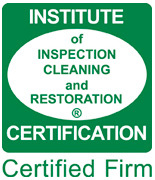 A: IICRC stands for “The Institute of Inspections, Cleaning & Restoration Certification. The IICRC has served as a cleaning, inspection and restoration service industry guardian for more than 30 years. As an IICRC – certified firm, Emergency Response Restoration adheres to the code of ethnics provided by the IICRC. We are very proud to be an IICRC Certified Firm. Q: There is obviously never a convenient time to have a fire, smoke or water damage emergency. My family and I are very busy, why should I choose Emergency Response Restoration? A: Emergency Response Restoration is taught to work quickly and efficiently to ensure that we minimize your inconvenience. We work around your schedule and we are fully insured. We understand that life and work do not stop with every personal emergency and we understand that getting everything back to normal is a priority. In this fast paced world, you need qualified professionals team are ready to work for you and give you true peace of mind. Q: The drying equipment you placed in our home can be noisy and my carpeting feels dry. Can I go ahead and turn off the equipment? 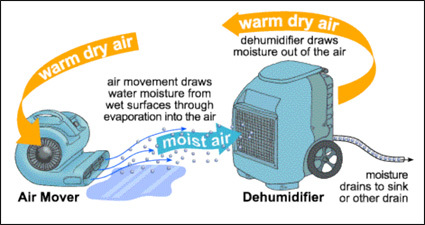 A: Emergency Response Restoration recommends that you do not turn off the drying equipment.